On 13 April, 2004, the Supreme Court of India in Ministry of Information and Broadcasting versus M/s Gemini TV Pvt Ltd and Others passed an order that became the basis of regulating the political advertisements by registered political parties during polls. The order in clear terms stated that all political advertisements "proposed to be issued on TV channels and cable networks by any registered political party/any group or organisation/ association/ individual candidate shall be pre-certified by the designated certification committee at various levels to be constituted by the Election Commission of India". Following the apex court judgment, the Election Commission issued an order on 15 April, 2004 directing the chief electoral officers (CEO) of all the states and Union Territories to constitute such a committee. Since then, during every election, a committee called the Media Certification and Monitoring Committees (MCMC) is set up by the EC. And, similarly, on 25 February, the EC ordered the constitution of an MCMC at the district- and state-level. According to the Election Commission, the MCMC is responsible for "previewing, scrutinising, verifying and certifying all advertisements by contesting candidates or political parties before being inserted in the electronic media and to check the cases of paid news". And the alleged disregard for the committee's directive has now landed NaMo TV, the 24-hour channel exclusively featuring Prime Minister Narendra Modi and other BJP leaders' speeches, in deep trouble. 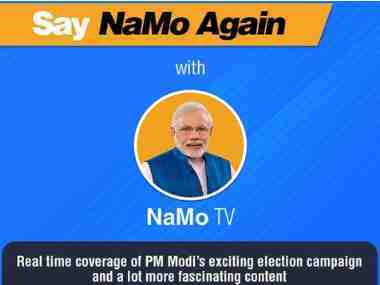 In the last week of March, a new channel called Content TV that was undergoing a test run for more than six months was launched as NaMo TV (that was an extension of the NaMo app owned by the BJP) on all major DTH platforms such as Dish TV, Videocon d2h and Tata Sky. 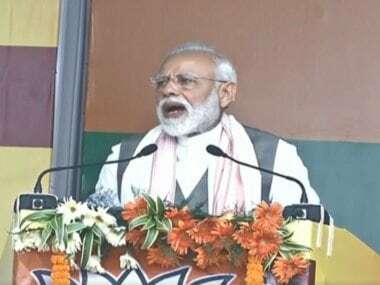 The channel prominently telecast speeches of Modi which led Opposition parties to allege that the BJP has violated the Model Code of Conduct (MCC) by telecasting political content without the approval of the MCMC. 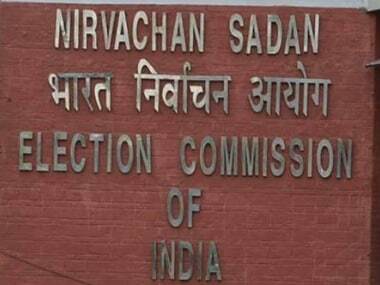 The Election Commission sought a clarification from Ministry of Information and Broadcasting and chief electoral officer (CEO) of Delhi. The I&B ministry clarified its position that the channel does not come under its purview as it is an 'advertisement platform'. According to some reports, Delhi's poll body told the Election Commission that it approved the logo of NaMo TV, but as the "political content" that was submitted for approval was primarily old speeches of Modi, that had already been aired, it did not require prior certification. However, an officer in charge of polls on condition of anonymity told Firstpost that this defence is not right. According to the officer, whether old or new, any political content that can be used for campaign purposes needs to be clarified by the MCMC. Following complaints from Opposition parties, the election watchdog barred NaMo TV from telecasting any political content without prior permission. In a letter to Delhi's CEO, the Election Commission has clearly stated, "As NaMo TV/Content TV is sponsored by a political party, all recorded programmes of political content displayed on the channel/platform will be covered under the purview of the Commission's Order". And it adds that "any political publicity materials/contents, being displayed on electronic media without the requisite certification from competent authority (MCMC in this case) should be removed immediately and any political content shall only be permitted strictly in accordance with the Election Commission's instructions in this regard". While the Election Commission has censured NaMo TV and barred it from telecasting any "political content" without certification, on Friday morning, NaMo TV was telecasting Modi's speeches and some voter awareness campaigns. According to the Election Commission, the MCMC certifies the political nature of advertisements before inserting in below mentioned Electronic Media: Bulk SMS/voice messages, TV channels/cable network radio/FM channels, cinema halls/AV displays in public places and social Media. According to a training manual of the Election Commission, "Pre-certification of the political nature of advertisement shall be disposed of and applicant will be informed about the decision of the MCMC within 24 hours of receipt of application, if the application is received by noon (unless there are compelling reasons not to do so)". 1. Any cable operator is prohibited for transmitting any advertisement which is not in conformity with prescribed programme code and advertisement code and is likely to promote enmity on grounds of religion, race, caste etc. 2. Any advertisement carried in cable service shall be designed so as to conform to the laws of the country and should not offend morality, decency and religious susceptibility of subscribers. 3. No advertisement shall be permitted that derides race, caste, color etc and is against the provisions of Constitution of India. 4. And most importantly, the MCMC must monitor the political advertisements in electronic media for checking whether the telecast/broadcast has been conducted only after certification of the MCMC. NaMo TV has come under the scanner for allegedly flouting the fourth rule, ie telecasting political content without prior certification of the MCMC. However, NaMo TV is still on the air and telecasting Modi's speeches. A little before noon on Friday, NaMo TV was telecasting a live speech of Modi at an election rally in Ahmednagar, Maharashtra. And this can mean only two things: Either NaMo TV has received the approval of the MCMC or this is an absolute violation of the Model Code of Conduct. The possibility of NaMo TV getting the approval and required certification cannot be denied as the maximum time for granting such certification is 24 hours as stated earlier.